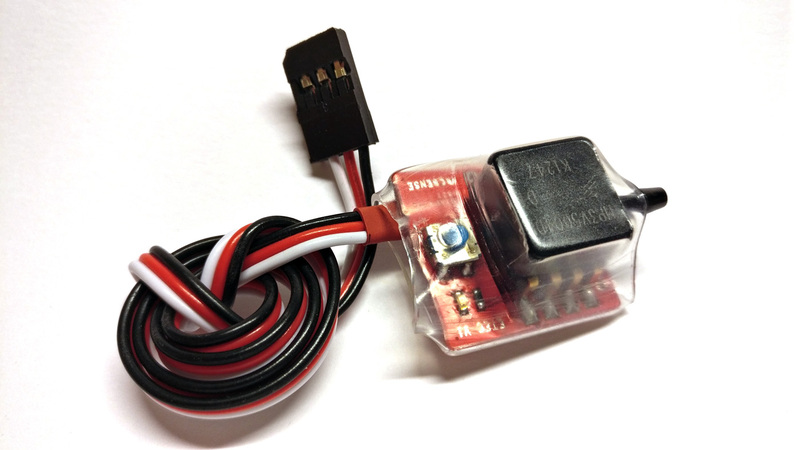 This unit combines the MS5611 precision absolute pressure sensor from our Accurate Vario sensor with a differential pressure sensor that provides IAS (Indicated AirSpeed) from a standard forward pointing Pitot tube (no weird bent tubes). 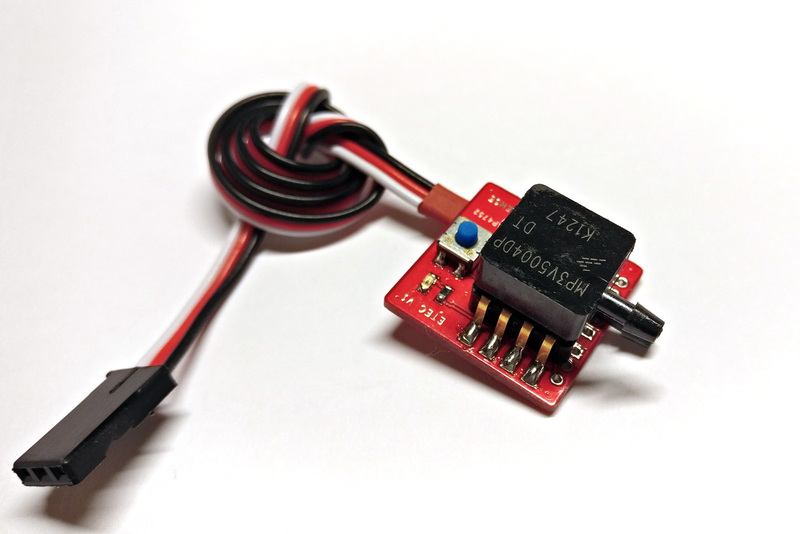 Together, these sensors enable the microcontroller to compensate the VARIO measurement for any changes in speed. The result is a reduced "stick induced vario", because any elevator input will trade altitude for speed or vice versa - without changing the total energy of the model. Only outside forces (thermals) actually add energy (altitude gain without speed reduction). Using advanced Kalman filters and smoothing the Total Energy Compensated Vario reading provides a more reliable VARIO measurement, as long as the aircraft is within it's efficient envelope (no stall or excessive drag). The IAS measurement is not reliable below 25kmh (15mph), so aircraft below this speed will not have the benefit of E-TEC. VARIO F1672: Altitude and non-compensated vario. Resolution 1cm. VARIO F1672: Altitude and E-TEC VARIO. Resolution 1cm. This novel implementation enables the pilot to select which VARIO to use at any instance, and to compare the standard VARIO with the E-TEC.